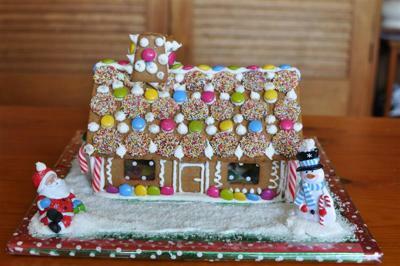 I decorated and assembled the house with my mum. I bought the pre baked and cut kit from Ikea. We then iced and decorated the bulk of it prior to assembling. It was a lot of fun.